The Ministry of Textiles is responsible for policy formulation, planning, development, export promotion and trade regulation of the Textiles Industry. This includes all natural and manmade cellulosic fibres that go into the making of textiles, clothing, and handicrafts. The Ministry is headed by a Secretary, assisted by Joint Secretaries, Economic Advisor, Development Commissioners for Handlooms and Handicrafts, Textiles Commissioner and Jute Commissioner. 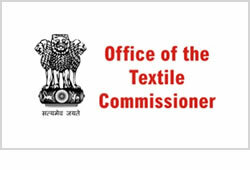 The Textile Commissioner office formulates and implements various schemes of the Government for textile industry. 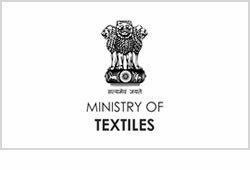 Users can get detailed information on textile industry, textile policies, export taxes, Central and State Govt textile schemes, etc. Information related to wool textile industry, cotton industry, import and export, handloom, etc. is provided. 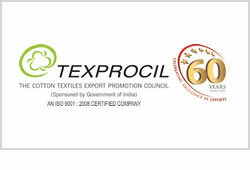 TEXPROCIL provides regular updates on international product trends, trade related issues, advances in technology and the latest developments in the industry, as well as existing and emerging markets. It facilitates international trade missions in India and other countries. The Indian Cotton Mills’ Federation (ICMF) had been established in March 1958, later it was renamed as Confederation of Indian Textile Industry (CITI). The Confederation is an apex industry chamber representing all the sub sectors of the textiles sector through its Member Associations, Associate Members and Corporate members. 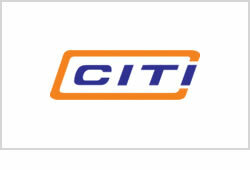 The effort of CITI is to obtain policy inputs from the Government targeted at the overall growth of the textile and clothing sector.